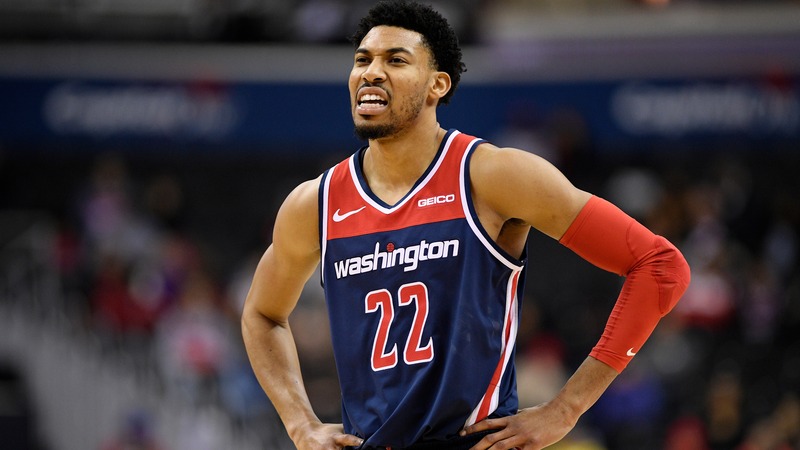 Anthony Davis might not have gotten traded, but the Chicago Bulls contributed to an exciting 2019 NBA trade deadline by acquiring Otto Porter Jr. in exchange for Jabari Parker and Bobby Portis. The Anthony Davis saga dominanted headlines as the 2019 NBA trade deadline came and went, and although the New Orleans Pelicans ultimately opted against trading their superstar to the Los Angeles Lakers, there was plenty of other activity. The Chicago Bulls surprisingly played a role in the excitement. While many figured the Bulls may pull off smaller moves involving Jabari Parker and/or Robin Lopez, they actually went out and made a significant trade by dealing Parker and Bobby Portis to the Washington Wizards for Otto Porter Jr. Acquiring Porter was [something I mentioned as a possibility earlier this week](https://www.betchicago.com/bulls-nba-trade-deadline-2019), but it was still a surprise to see the Bulls go through with the deal. Porter has $27.25 million coming his way next season before a $28.49 million player option in 2020-21, so the Bulls are set to commit big dollars to the 25-year-old over the next several seasons. This trade is a clear admission that the Bulls had no chance of nabbing a premier free agent this summer. They were set to have upward of $45 million in cap space, [but now that number is down to about $19 million. ](http://www.basketballinsiders.com/chicago-bulls-team-salary/) That will help Chicago acquire depth to round out the roster, but it's not nearly enough for a max contract. Of course, why would any star player want to join the Bulls now? They're young, bad and have been a mess all season. There are some intriguing young players in place, but that's not much of a sales pitch. Porter may be overpaid, but he's a quality 3-and-D player who will slide nicely into the small forward slot. He's shooting nearly 40 percent on 3-pointers for his career and will give the wing defense a boost next to porous defender Zach LaVine. The 6-foot-8 forward may not move the needle like a true star, but he should make the Bulls a better team next season. As for this season, Porter shouldn't have much of an effect on the tank race. The Bulls will be losing some depth by swapping out two players for one, and that depth could take an even bigger hit [if they wind up buying out Robin Lopez. ](https://twitter.com/wojespn/status/1093605509788286977) Barring something crazy, Chicago should finish with no better than the fourth-worst record in the league, which would give them a 12.5 percent chance at the No. 1 pick. The top three teams in the lottery will all have a 14.0 percent chance. The quest for Zion Williamson is still very much alive. ### Lakers pivot as AD stays put With the Boston Celtics sidelined from Davis trade talks until the summer, the Lakers put a full-court press on the Pelicans for the superstar big man. Los Angeles made a monster offer, but New Orleans wasn't ready to make a deal: <a href="https://twitter.com/BA_Turner/status/1092876063951212551" class="embedly-card" data-card-width="100%" data-card-controls="1">Embedded content: https://twitter.com/BA_Turner/status/1092876063951212551</a> The Pelicans want to have the opportunity to negotiate with the Celtics, who have young players like Jayson Tatum and Jaylen Brown to offer, plus a boatload of draft picks. New Orleans may also look to engage the New York Knicks on a deal if the No. 1 pick heads to The Big Apple. The Pellies just have to hope Davis stays healthy the rest of this season: <a href="https://twitter.com/PelicansNBA/status/1093679942422941696" class="embedly-card" data-card-width="100%" data-card-controls="1">Embedded content: https://twitter.com/PelicansNBA/status/1093679942422941696</a> With the Lakers swinging and missing on Davis for the time being, they pivoted to add more shooting to their roster. They acquired Reggie Bullock from the Detroit Pistons and Mike Muscala from the Los Angeles Clippers. While Bullock and Muscala may help, that's obviously underwhelming compared to a blockbuster Davis trade, and Vegas responded in a big way. [The Lakers' title odds](https://www.betchicago.com/nba-odds-to-win-title-after-trade-deadline-raptors-celtics-76ers-bucks) went from 16/1 to 40/1 after the deadline at Westgate. Los Angeles still has to battle to even make the playoffs. The eighth-seeded Clippers may have traded Tobias Harris away, but they acquired Ivica Zubac from the Lakers and also got Garrett Temple and JaMychal Green from the Memphis Grizzlies in exchange for Avery Bradley. Furthermore, the ninth-seeded Sacramento Kings made upgrades by snagging Harrison Barnes and Alec Burks in separate transactions, so they're definitely making a push for their first postseason appearance since 2006. The Lakers should (hopefully) find a groove again with the specter of a Davis trade looming overhead gone for now and LeBron James getting healthy, but it's going to be a battle. ### The top of the Eastern Conference goes nuts The Celtics may have been quiet at the trade deadline as they gear up for their Davis push this summer, but the rest of the East contenders made ballsy plays to improve their rosters. The Philadelphia 76ers struck first by acquiring Harris from the Clippers earlier in the week, which had a huge impact on the Sixers' odds, as noted by BetChicago's Joe Rodgers: > A 76ers trade for Tobias Harris on Wednesday attracted a flow of money to the Westgate, oddsmaker Ed Salmons told BetChicago. The trade and betting action had massive impact on 76ers’ futures odds, shortening them from 16/1 odds to win this season's NBA championship to 10/1. Philly managed to upgrade bust Markelle Fultz to Jonathon Simmons in a deal with the Magic on Thursday but the move didn't affect their title odds further.> Jonathon Simmons and James Ennis will provide wing depth after coming over in trades. The Toronto Raptors made a huge splash by acquiring Marc Gasol from the Memphis Grizzlies for Jonas Valanciunas, Delon Wright, C.J. Miles and a 2024 second-round pick. It had looked like the Charlotte Hornets were going to nab Gasol, but the Raptors swooped in and got him instead. With Kawhi Leonard a flight risk this summer, Toronto is going all in right now. Why not? The league-best Milwaukee Bucks made a smaller but savvy move by getting Nikola Mirotic from New Orleans. Mirotic will be a great fit playing alongside Giannis Antetokounmpo in Mike Budenholzer's run-and-gun system. After all these trades, the Bucks, Raptors, Sixers and Celtics all have 10/1 odds to win the title. Milwaukee and Philly both improved their odds, while Toronto surprisingly went from 8/1 to 10/1 despite the Gasol trade. Boston went from 8/1 to 10/1 because of the inactivity.